(from Sports Business Journal, November 11-17, 2013) The Phoenix Suns is the first major pro sports team to track Twitter activity during games thanks to the deal with SocialGuide’s Nielsen Twitter TV Ratings service. The financial terms of this contract have not been disclosed, but the agreement was finalized last month before the start of the Suns’ season. This deal allows the Suns to receive access to SocialGuide’s platform to track and analyze real-time tweets during the game. The next day Phoenix gets the results from the Twitter Ratings product that allows them to see total activity and reach of TV-related conversations during the game. The Suns were the first to be progressive in the use of social media in their efforts to monitor and identify the reach of Twitter activity. Before, the team used Twitter’s TweetDeck app which only allowed them to see team-name hash tags, but now, using SocialGuide’s platform, they can track tweets that include any and all team-related hash tags which allows for a more extensive collection of data. The vice president of digital operations, Jeramie McPeek, stated, “This is the true reach, which we’ve never been able to get before, we have known for years that we have an active fan base tweeting about our team, but this gives us the opportunity to really determine how large that audience is and the impact it makes.” The Suns reached 11.3 million Twitter impressions just in the first four games, and they are averaging 2.85 million per game. 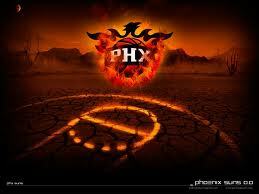 The data in those impressions showed that the Suns players were mentioned more than any of their opponents. The team will look to use this data to gain more sponsorships and advertisers. As the Suns’ President, Jason Rowley, stated, “From a sponsorship standpoint, advertisers are looking at impressions, and this is a big data play, and that’s the name of the game today.” The other use for this is touting promotions and ticket offers when the game is attracting the most activity. The University of Michigan has a deal with SocialGuide, (Sports Business Journal, Sept. 16-22), but representatives from both the Suns and SocialGuide state that Phoenix was the first from the major U.S. leagues to subscribe.